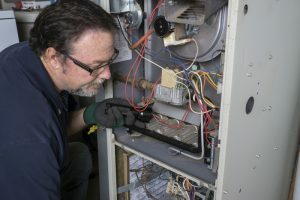 Don't Neglect These Late Season Heater Repair Needs | Comfy Heating Air Conditioning Inc.
Maybe you’ve noticed that your home isn’t heating up as fast as it used to, or you find cold spots in certain areas of your home. If so, it could be that your heating system is declining in performance. However, it may be something else, like a miscalibrated thermostat or damaged ductwork. These latter issues will impact your air conditioner, too, so you want to handle them right away. No matter how minor or mild the sound might seem, if your heater is making a noise you’ve never heard, then you have a right to be concerned. A few particular noises to have an ear out for include mechanical clanging or banging, hissing or clicking, or even just general noisy operation. It’s natural to watch your energy bills rise as winter approaches, and fall again during the transition of spring. However, what you shouldn’t see is a sudden spike or dramatic increase in your heating costs. Especially if it’s a significant increase over what you paid last year, or over what your neighbors are paying. This is when your heater turns on and off rapidly, never completing a full heating cycle. This increases the wear and tear on the system. It is worth mentioning here that if you have a relatively newer heater and have always experienced this problem, then your system is too big for the space it’s installed in. We’re happy to talk to you about your options, if this is the case. We seem to be trending toward warmer temperatures now, but as you likely are very aware, we can always be surprised with a cold spell. If that happens, you want a fully functional heater on your side. If that doesn’t happen and we truly are done with our heaters for the season, letting a broken heater sit in wait for six months can be just as detrimental as continuing to try to use it with repair needs. For professional and reliable heater repair in San Leandro, CA, contact Comfy Heating & Air Conditioning Inc. today!